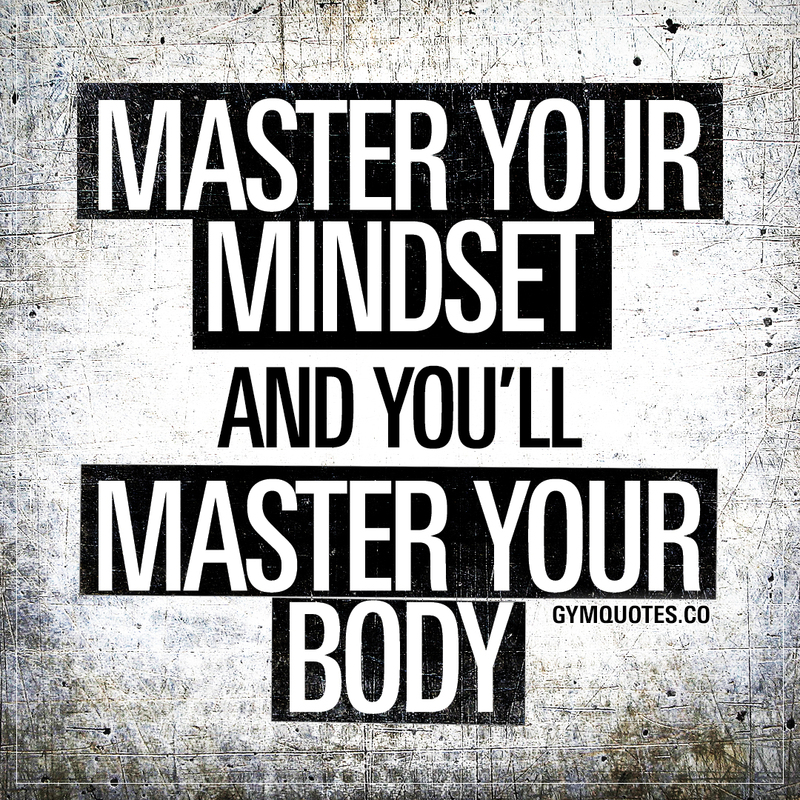 Gym motivation quotes: Master your mindset and you'll master your body. You have to master your mindset and live with confidence in order to truly unleash your full power and reach your full potential. You have to master your mindset in order to truly master your body. Train your mindset as often as you train your body. Have a growth mindset, believe that you can grow through dedication and hard work. Learn as much as you can about health, fitness and bodybuilding. Remove toxic people who have a negative effect on your mindset, block them out and block all your negative thoughts. Believe in yourself, train hard and stay dedicated and you’ll master your body and you WILL achieve your goals. Do not accept anything less of yourself than YOUR BEST. Period. Share this quote with someone you want to inspire. Be part of gym quotes and spread positivity to those around you!